DynCorp International Inc. delays in completing a northern Afghanistan garrison complex forced Afghan troops to be housed in temporary facilities that exposed them to mud, freezing conditions, unsafe food storage and sewage, according to U.S. auditors. Falls Church, Virginia-based DynCorp International, one of the U.S. Army’s largest contractors in Iraq and Afghanistan, is at least 19 months late completing the Kunduz facility, according to U.S. auditors. The $72-million project is slated to be finished by August and house 1,800 troops. “Pervasive delays” in construction projects for Afghan personnel are hampering U.S. efforts to build a credible Afghan security force, North Atlantic Treaty Organization trainers told investigators for Special Inspector General for Afghanistan Reconstruction Arnold Fields. Delays at the Kunduz garrison project are “dramatically restricting training and operations,” said an audit Fields released June 29. “In addition to the challenges operating a project in a war zone, soil abnormalities have been a major issue impeding progress,” she said. The DynCorp project is meant to support a U.S. effort to train and house the Afghan Army, which is scheduled to grow to 172,000 by October 2011 from 103,000 a year ago. Delays at the Kunduz complex have hampered training, the audit found. “We saw the effects of construction delays on the development of units at that site,” said Emily Rachman, the senior auditor who compiled the report. “We observed Afghan army personnel living in temporary facilities and dealing with terrible conditions that were impeding the training efforts of NATO mentors,” Rachman said in an interview. During a February visit, auditors saw “Afghan army personnel coping with deep mud, freezing conditions, unsanitary shower and bathroom facilities, inadequate dining facilities, medically unsafe food storage and sewage being openly discharged on the surface of the compound,” the audit said. Fields disclosed the basic construction delays and problems in an April 30 audit. It concluded the garrison in Kunduz province was unusable because of “poor quality welds, rust on steel supports” and “severe settling” of soil. DynCorp’s Burke said the company hired geological experts to investigate the soil problems. The experts are working to “determine a definitive cause” so a corrective plan can be developed, she said. The company is making a series of interim repairs to contain the damage, she said. Those include reinforcing foundations and adding additional soil grading to aid drainage from structures, she said. The company has been docked $1.4 million so far for the cost of administering the contract beyond the scheduled completion date, said Army Corps of Engineers spokesman Eugene Pawlik. Under its contract, Burke said, the company is working to provide the proper justification for delays it believes fall “outside the contractor’s control” and hopes to receive the payments in full once the work is complete. DynCorp is addressing all the problems and the complex is scheduled to open in August, Pawlik said. More good news from Afghanistan: the U.S. military has no idea where the billions it’s spending on warzone contractors is actually ending up. And nine years into the war, the Pentagon has barely started the long, laborious process of figuring it out. 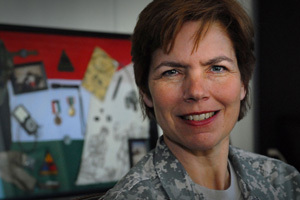 Rear Admiral Kathleen Dussault just arrived in Kabul about a week and a half ago as the commander of Task Force 2010, a new unit established to ensure that the military’s dependence on contractors for everything from laundry to armed security doesn’t end up undermining Afghanistan’s stability in the process. That’s no hypothetical concern: a congressional report last week found that Afghan, U.S. and Mideastern trucking companies who have a piece of a $2.16 billion logistics contract with the military pay about $4 million every week in protection money to warlords and Taliban insurgents. KTRE 9 We have a lot of contractor families in Texas, looks like this one could use some help. ZAVALLA, TX (KTRE) – The house of a Zavalla woman, whose husband is working as a contractor in Iraq, burned Sunday. The fire started at the home off Hickory Hill Road. Zavalla firefighters say it appears a portable window air conditioning unit was plugged into an outlet that overloaded. Two bedrooms and a bathroom are a total loss. 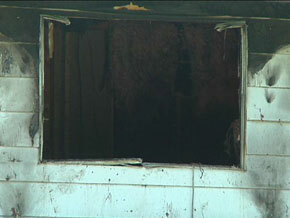 The master bedroom, bathroom, and kitchen sustained heat, water, and smoke damage. Toxic Sand: Another Enemy in Afghanistan? 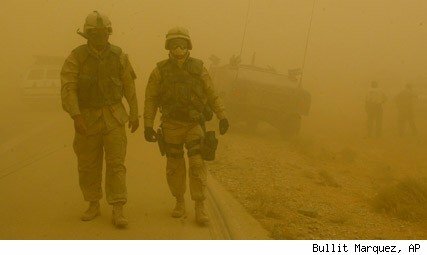 American forces in Afghanistan, who already face roadside bombs and insurgent attacks, may be dealing with an environmental enemy as well — toxic sand that can damage their brains, according to a recent Navy study. In a presentation at a neurotoxicology conference in Portland, Ore., earlier this month, Palur G. Gunasekar, a senior scientist with the Navy Environmental Health Effects Laboratory, said that dust kicked up in sandstorms contains manganese and other metals. “The sand is a risk factor for inducing neurotoxicity,” Gunasekar said. Compounds that are neurotoxic are those that damage the nervous system or the brain. The Navy said the findings are preliminary and that so far no definitive link has been found between the inhalation of sand and brain damage. Still, the study followed reports that returning soldiers from Afghanistan and Iraq are experiencing impairments such as memory loss and difficulty concentrating, which may not always be attributable to traumatic brain injuries. Gunasekar told the group, most of them academic and government scientists, that he and his colleagues focused on “subtle environmental issues that our soldiers face.” Troops caught in sandstorms may inhale toxic particles, which can be carried to the brain, lungs and other organs. “Once they return…they complain about respiratory problems and also they complain about some of the cognitive functions,” he said. WASHINGTON — CIA Director Leon Panetta says the agency has hired Xe (zee) Services – the company once known as Blackwater – for a $100 million contract to provide security in Afghanistan. He says Xe underbid others by $26 million and that a CIA review concludes that the contractor has cleaned up its act. Panetta says Moyock, N.C.-based Xe does not engage in actual CIA operations, but instead helps secure agency bases in war zones. Seven CIA employees, including security contractors, were killed in a suicide bombing in Khost, Afghanistan, in December. 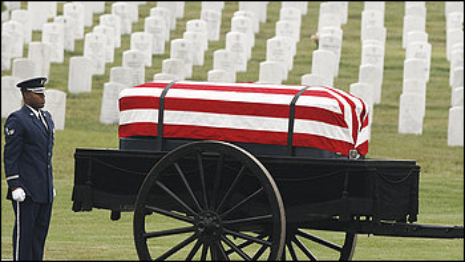 Blackwater guards allegedly opened fire on unarmed civilians in Baghdad in 2007, killing 17 people. A federal grand jury has indicted five Blackwater officials on conspiracy weapons and obstruction of justice charges. Sutton’s departure follows criticism in Congress  over the performace of the center and in recent reports  by NPR and ProPublica that the military is failing to diagnose and treat soldiers suffering from so-called mild traumatic brain injuries, also called concussions. WACO – A Fort Hood U.S. Army captain pleaded guilty on Thursday to charges he accepted bribes from a contractor while in Iraq. Capt. 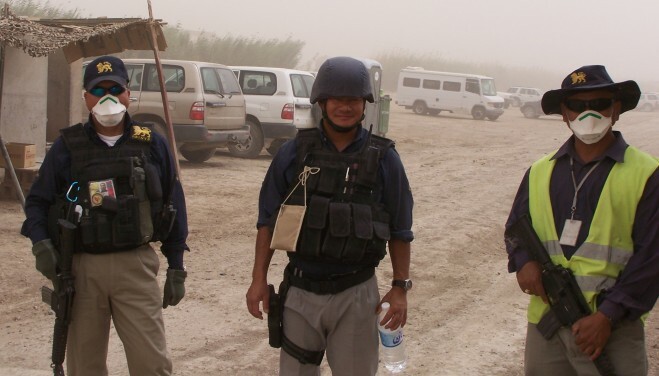 Faustino L. Gonzales, 38, allegedly conspired with Chasib Mahdi Contracting Company to receive bribes for awarding contracts near a base in Rustimiyah, Iraq between 2005 and 2006. An investigation revealed Capt. Gonzalez made cash payments to Mahdi for contracts he was awarded under the commander’s emergency relief program for Iraq reconstruction. In exchange for awarding the contracts, Mahdi reportedly paid bribes in the form of cash. A portion of the bribe money was allegedly deposited in bank accounts located in Waco and San Antonio. Some of the money was sent to Gonzalez brother who was told it was a military bonus. Gonzalez is scheduled to be sentenced on Sept. 15. He could receive up to two years in federal prison, up to a $250,000 fine and an unspecified amount in restitution. The Central Intelligence Agency has hired Xe Services, the private security firm formerly known as Blackwater Worldwide, to guard its facilities in Afghanistan and elsewhere, according to an industry source. The previously undisclosed CIA contract is worth about $100 million, said the industry source, who spoke on condition of anonymity to discuss the deal, which is classified. “It’s for protective services … guard services, in multiple regions,” said the source. Two other security contractors, Triple Canopy and DynCorp International, put in losing bids for the CIA’s business, the source said. The revelation comes only a day after members of a federal commission investigating war-zone contractors blasted the State Department for granting Blackwater with a new $120 million contract to guard U.S. consulates under construction in Afghanistan. “While this agency does not, as a rule, comment on contractual relationships we may or may not have, we follow all applicable federal laws and regulations,” Gimigliano said. Many federal service contractors could see their jobs brought back in-house if provisions in the House and Senate Defense authorization bills are passed into law, according to an industry group. The House version of the policy measure includes an amendment sponsored by Rep. John Sarbanes, D-Md., that would give “special consideration” to federal employees for any function that has been performed by a government worker during the past decade, was awarded without competition, is closely associated with an inherently governmental task, or that the private sector has performed poorly during the past five years. WASHINGTON, Jun 21, 2010 (IPS) – Jerry Torres, CEO of Torres Advanced Enterprise Solutions, has a motto: “For Torres, failure is not an option.” A former member of the Green Berets, one of the elite U.S. Army Special Forces, he was awarded “Executive of the Year” at the seventh annual “Greater Washington Government Contractor Awards” in November 2009. On Monday, Torres, whose company provides translators and armed security guards in Iraq, was invited to testify before the Commission on Wartime Contracting (CWC), a body created in early 2008 to investigate waste, fraud and abuse in military contracting services in Afghanistan and Iraq. Torres was asked to testify about his failure to obtain the required clearances for “several hundred” Sierra Leonian armed security guards that he had dispatched to protect Forward Operating Base Shield, a U.S. military base in Baghdad, in January 2010. An empty chair at the witness table was placed ready for him together with a placard with his name on it next to those for representatives of three other companies working in Iraq – the London-based Aegis, and DynCorp and Triple Canopy, both Virginia-based companies. “This commission was going to ask him, under oath, why his firm agreed in January to assume private security responsibilities at FOB Shield with several hundred guards that had not been properly vetted and approved,” said Michael Thibault, one of the co-chairs of the commission and a former deputy director of the Defence Contract Audit Agency. Instead, a lawyer informed the commission staff that Torres was “nervous about appearing”. The failure of a contractor to appear for an oversight hearing into lapses was just one example that the use of some 18,800 armed “private security contractors” in Iraq and another 23,700 in Afghanistan to protect convoys, diplomatic and other personnel, and military bases and other facilities in Afghanistan and Iraq was not working. Perhaps the most famous private military contractor in Afghanistan and Iraq – North Carolina-based Blackwater – was not invited to sit at the witness table either, despite the fact that the company had been the subject of several investigations into misconduct. For example, in September 2007, security guards from North Carolina-based Blackwater guards shot and killed 17 Iraqi civilians in Baghdad’s Nisour Square. Blackwater staff have also been accused of killing other private security contractors – in December 2006, Andrew J. Moonen, was accused of killing a security guard of the Iraqi vice president, Adel Abdul Mahdi. And as recently as May 2009, four Blackwater contractors were accused of killing an Afghan on the Jalalabad road in Kabul. Members of the commission noted with astonishment that the State Department had awarded Blackwater a 120-million-dollar contract to guard U.S. consulates in Heart and Mazar-i- Sharif in Afghanistan this past Friday. Asked to explain why Blackwater was awarded the contract, Charlene R. Lamb, deputy assistant secretary for international programmes at the State Department, stated that the competitors for the contract – DynCorp and Triple Canopy – weren’t as qualified. Yet Don Ryder of DynCorp and Ignacio Balderas of Triple Canopy testified that they were both qualified and able to do the contract. The two men said that they would consider lodging a formal protest at the State Department Tuesday after a de-briefing with the government. The choice of Blackwater, which has been banned by the government of Iraq, left the commissioners with little doubt that the contract award system was flawed. “What does it take for poor contractual performance to result in contract termination or non-award of future contracts?” wondered Thibault. Yet it appears that the government does not even have the oversight capability to police the companies that it has hired to fill the gap. Some witnesses and experts said that by definition this work should not be handed out to private contractors in war zone. *This article was produced in partnership with CorpWatch – http://www.corpwatch.org. WASHINGTON — Taliban and Afghan warlords are extorting some of the $2.16 billion the Defense Department has paid to local contractors who transport food, water, ammunition and fuel to U.S. military forces in Afghanistan, according to a House investigation to be released Tuesday. Trucking contractors say they pay as much as $150,000 a month to warlords in “protection” money, and investigators concluded that payments for safe passage are a significant source of Taliban funding, according to a report by the staff of Rep. John Tierney, D-Mass., who heads the House national security and foreign affairs subcommittee. Defense Department officials are scheduled to discuss the findings with the subcommittee today. Cheryl Irwin, a Pentagon spokeswoman, said the Defense Department is looking into the allegations. Eight contractors control about 70% of the transportation business in Afghanistan and serve more than 200 U.S. military bases. They work with Afghan security contractors, who cut deals with warlords and the Taliban to allow convoys to pass, the report says. Rep. Darrell Issa, R-Calif., questioned the inquiry’s thoroughness, noting that the only record of the interviews is handwritten notes. The report cites e-mails, interviews with contractors and other documents that indicate payoffs are part of doing business. A program manager for one trucking company told subcommittee investigators that Commander Ruhullah, a warlord who works with a private security company and controls a critical stretch of road between the capital city of Kabul and the southern city of Kandahar, works closely with the Taliban. Ruhullah denied it. The report said contractors repeatedly raised their concerns to the U.S. military about payoffs, sometimes as much as $15,000 per truck. Relyant is only one of several companies who were awarded this IDIQ Contract though it does not say so here. MARYVILLE, Tenn., June 21 (UPI) — RELYANT LLC, a Tennessee firm providing strategic support services, won a contract (USACE) to help with mine clearance and unexploded ordnance disposal in Afghanistan. The company expects to hire 200 additional people to work in Afghanistan and at its headquarters as a result of the award, which is worth $49 million. The contract, it said, has two 1-year renewal option periods following the initial 1-year base period. 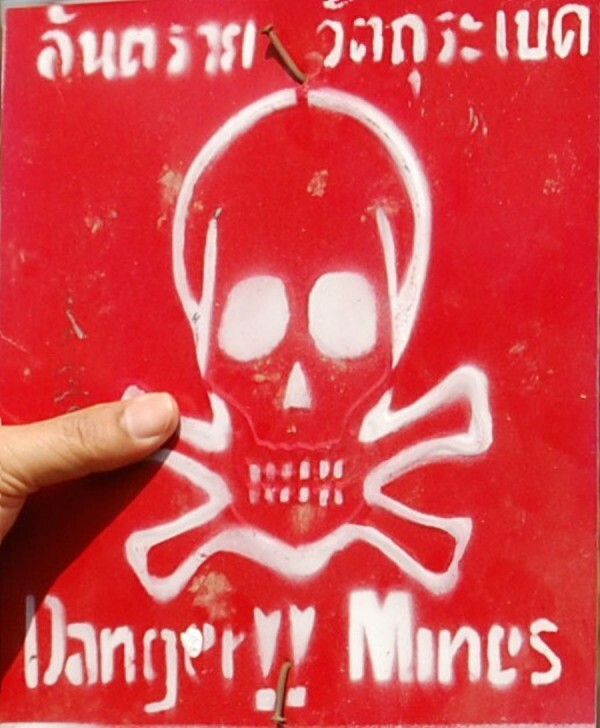 The United Nations says there are more than 10 million land mines and other explosive items littering Afghanistan, many of them from the period of Soviet occupation in the 1980s and the guerrilla war against the Soviets. “RELYANT’s work under this contract will provide a safer environment for all stakeholders in the ongoing efforts to stabilize and rebuild the country,” the company said. Other RELYANT services in Afghanistan include insulating troops housing on bases, escorting third-country nationals, life-support services for troops, convoy and secure trucking of supplies and vehicle maintenance. Warning to prospective new employee’s and current as well: If you are injured while working this contract your future will be in the hands of CNA the USACE’s DBA Insurance Company. Your life will be a living hell.